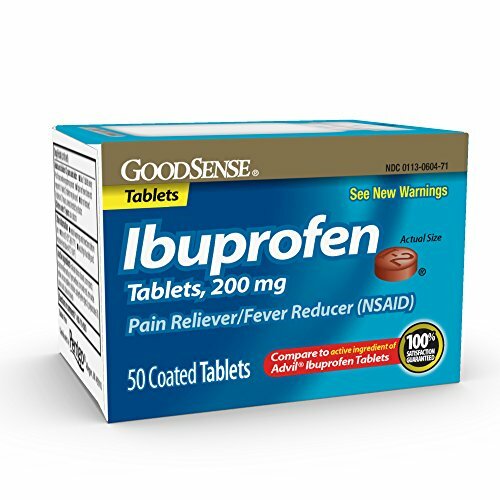 Good sense ibuprofen tablets, pain reliever/fever reducer (nsaid), 200mg temporarily relieves minor aches and pains due to headache, muscular aches, minor pain of arthritis, toothache, backache, the common cold and menstrual cramps, temporarily reduces fever. Compare to the active ingredient of Advil ibuprofen tablets. This product is not manufactured or distributed by Wyeth consumer healthcare, distributor of Advil.